A new white paper for engineers and other non-marketing small business owners that explains what publicity can accomplish in today’s marketing mix and features 10 rules for preparing effective news releases is being offered by Venmark Internatonal of Wellesley, Massachusetts. 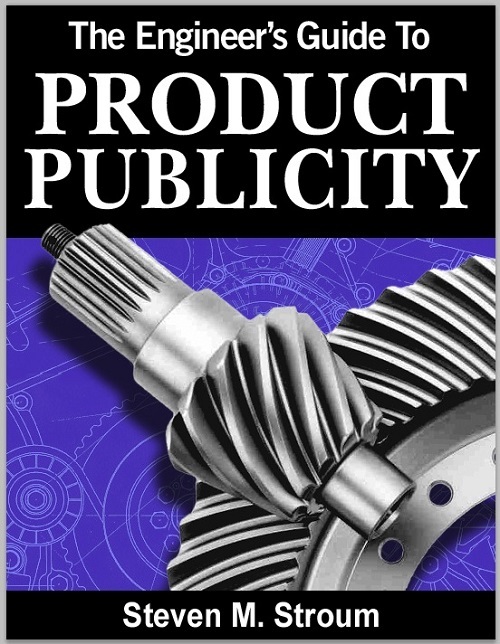 The Engineer’s Guide to Product Publicity is a 5-page paper which explains what publicity is, why it is the most cost effective marketing tool, and how to use it get a company branded as a problem-solver. Featured are 10 rules for preparing effective news releases including adopting a giving mindset, eliminating advertising jargon, and quantifying all performance claims. Written by Steven M. Stroum, founder and president of Venmark International, the Engineer’s Guide to Product Publicity will help readers understand the value of press releases to media outlets, what they can achieve as a marketing tool today, and their value for creating meaningful web content. The Engineer’s Guide to Product Publicity is available free from Venmark International.